Carl Morton the service tech was very professional and friendly. He explained the service he was providing. The technician always calls just before arrival, lets me know what is being treated,and performs a quick and complete service. Your service is always very satisfactory. It’s always nice know I will have a very dependable rep I can count on. Thanks. We have used Lloyd's for many years. Never really have any issues with our home. They come, they spray, they clean up cob webs, etc. We have a rodent issue that occurs every year and they come and set traps wherever needed and problem solved! Excellent serivice. everything is ok with your rep..on time gets the job done. Carlos was amazing....thank you for sending him to us. He was very thorough and knowledgeable. We are looking forward to a pest-free home. I so appreciated the fast and timely response by your estimator, and especially his effort (successful!) to set an appointment that same day. One day and, hopefully, the problem is fixed. Thank you! Never had any problems with the service. Always does a great job. We could not be happier. Love having Lloyds take care of our property on a regular basis. We highly appreciate Having You as our Pest Controller for years cause we truly achieved desired satisfaction.We’ll be with you forever and a day!!!👍. Your Rep. David explain everything to me, answer all my questions, and I feel he made me very comfortable about the whole process. and helping me with the gas co. Yes I will refer you to my friends. Long time Customer .. great service every time. Thank you! I like that they always call to advise me when they plan to come so I know if it is convenient. Also, they keep the appointment as scheduled. 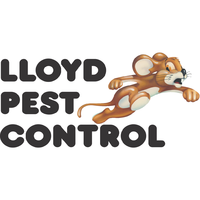 We've been using Lloyd Pest Control for over 15 years and have always been happy with their service. They are prompt and attentive and have always been friendly if I have to call. We highly recommend! Always very professional and diligent with the service. Have been with you for awhile now and am very satisfied with the service. Your technician offered to come back at a later date—when he first arrived we were having work done in our backyard, so it wasn’t convenient. And when he returned, it was raining, so he offered to come back the following day (or when the rain stopped) to apply the pellets. Now, I’m not certain if he returned yet, but his whole attitude was terrific. Thx! Great customer service and courteous technicians! Good service and professional customer service. The service person is always courteous and friendly. They always look for areas on our property that need service or needs to be treated.. We are very pleased with their service. great job thank you for everything. Always responsive when you have a problem. We’ve been a customer for the last few years and have received nothing but the best service! Would recommend Lloyd’s Pest Control! I had an ongoing roach problem I had tried everything under the sun and nothing worked. Lloyd's was able to combat our roach problem in an easy and effective way! I would recommend them to anyone struggling with bugs! Quality service, super friendly and personable technician,who calls before appointments and goes the extra mile... What more could you want? thank you Lloyd pest control! pests to be located but, thanks to Lloyd Pest Control things stay under control. Over the years we have had a great experience with Lloyd Pest Control. The ants don't come into our house anymore. The fact that we have the same tech come every time for many years says a lot about the company. Mark has also come out to do flea treatment for our rentals. We appreciate your calling us to remind us that it is time for you to come again. Sometimes we forget that it is time unless we see ants and other bugs near our house. Thank you for your service. Whenever I need service, they try, and very often, get to me on the same day with courteous service technicians. I cannot recommend them highly enough. Always in time, schedule appointments to Suite and most importantly they take care of the bugs!! I AM VERY HAPPY WITH THE SERVICE THE PERSON WHO VISITED OUR HOUSE PROVIDED AN EXCELENT SERVICE THE MOST IMPORTANT IS HE CARES ABOUT OUR SAFETY AND OUR HEALTH BY GIVING US SOME ADIVCES IN HOW WE CAN HANDLE AND PROTECT OUR HOME FOR RATS COMMING BY THE ROOF THANK YOU VERY MUCH AND TAKE A MOMENT TO WISH YOU MERRY CHRISTMAS. ARACELI CAZALES.